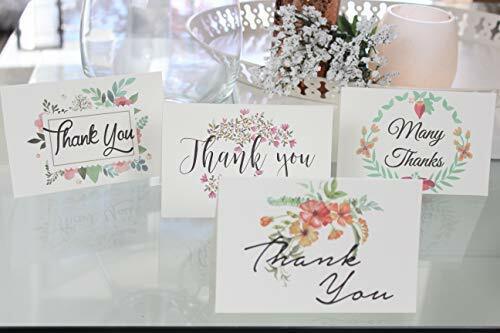 EXPRESS IT WITH STYLE: 4 Water Colored Floral thank you cards with envelopes . 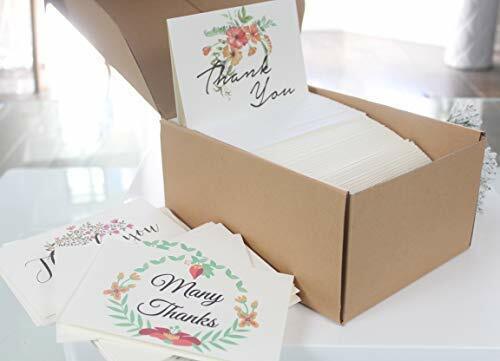 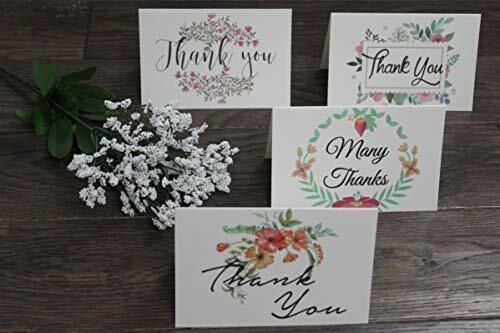 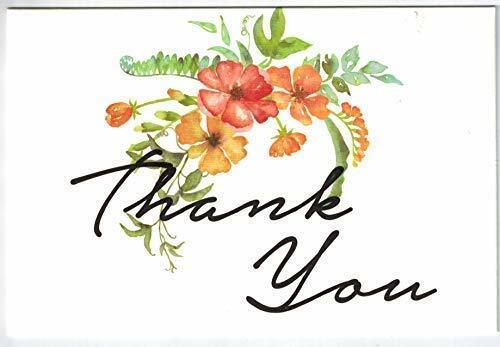 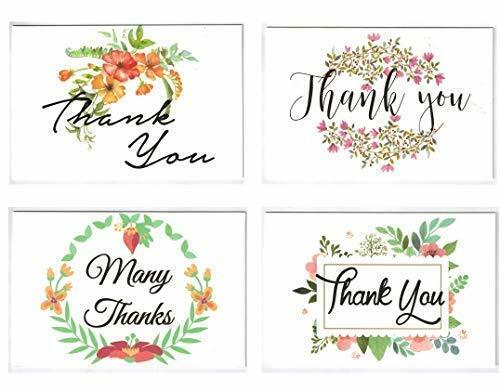 BE READY: Stock of 100 High Quality thank you notes with envelopes you will always be ready . 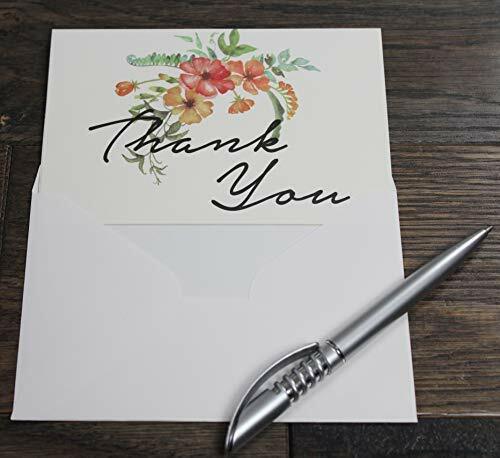 EXPRESS IT: Blank thank you cards from inside so that you can write whatever you want. 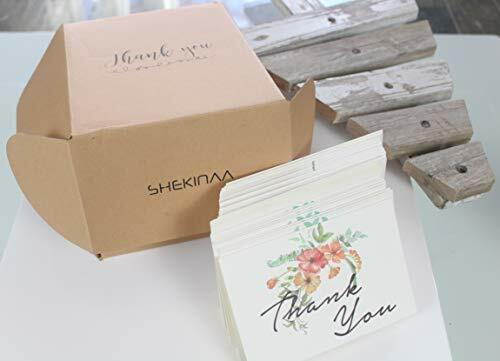 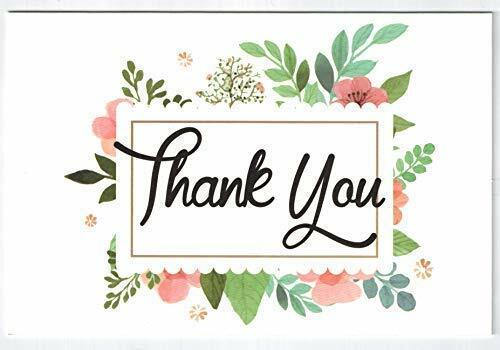 SUITABLE FOR ANY OCCASION OR GREETING : Baby boys / Girls and bridal Shower , thank you cards Wedding , graduation and business events. 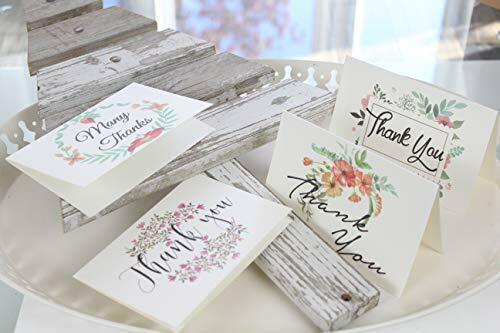 SAVE MONEY: Thank you cards bulk will help you save a lot.